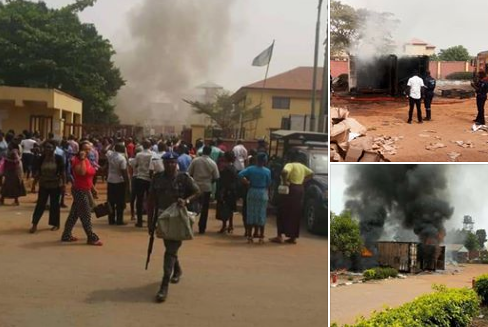 Days to election, strange fire has reportedly gutted about 6,372 card readers and other sensitive materials meant for the conduct of the 2019 general elections in Anambra State. The said scenario reportedly took place around 2:14pm on Monday while INEC officials were still at work, but it came to public knowledge only hours later. It was learnt that a meeting between the Independent National Electoral Commission INEC and political parties was going on at the Dora Akunyili Women Development Center when the inferno started without the knowledge of both the security and INEC officials. However, an eye witness account has it that, the card readers were kept in a container where they were apparently being charged in readiness for Saturday election when it was discovered that a section of the container was in flames. 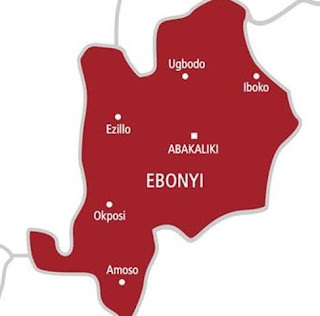 The source added that INEC officials later went to sleep with the hope that the fire has been quelled without knowing that fire was still building up underneath. Confirming the incident, the Resident Electoral Commissioner (REC) of INEC in the state, Dr. Nkwachukwu Orji, said that only smart card readers and other sensitive materials were in the burnt containers. He explained that the burnt container had been in use by INEC since 2011. On whether the fire incident would mar Saturday’s election in the state, Orji said they will first study the extent of damage to know the next step to take. “We have to assess the situation before we come out to logical conclusion on materials destroyed. I don’t know if the materials were configured because I am just arriving to the office,” he said.